NEW YORK, November 8, 2017 (Newswire.com) – Premier Live and Mehow are excited to announce that the 2017 Manuka Doctor Necker Cup and Necker Open (www.NeckerCup.com) presented by Metal, will be Nov. 27- Dec. 2, 2017. Due to the devastation caused by Hurricane Irma to the entire BVI region, this year’s events will be held at the newly opened, highly anticipated luxury resort Baha Mar on the Bahamas. The 2017 Manuka Doctor Necker Cup presented by Metal is a six-day/five-night, all-inclusive world-class Pro-Am tennis featuring top ATP /WTA Pros & Legends and Sir Richard Branson who are paired up with amateur teams of all levels, who compete in this fun and spirited tennis competition. The 2017 Manuka Doctor Necker Open presented by Metal is a six day/seven night, all-inclusive world-class Pro-Am golf event featuring top PGA Pros & Legends. This year’s tournament will take place at Royal Blue Baha Mar. This 18-hole, par 72, Jack Nicklaus Signature golf course is stunning. Freeform tees on each hole ensure a new playing experience each day with the course length able to vary from between 6,100 and 7,200 yards. Given the widespread devastation, it was tough to even think about the event; however, Sir Richard Branson and our team feel the Necker Cup and Necker Open, with the help of our title sponsor Manuka Doctor, and presenting sponsor Metal, offer an incredible opportunity to raise much-needed awareness and funding for the hurricane victims. The outpouring of support from all our guests, pros and celebs has been outstanding, and we sincerely appreciate your kindness. This year’s event will be incredible and by far the most meaningful. Baha Mar has graciously invited the 2017 Manuka Doctor Necker Cup and Necker Open presented by Metal to host this year’s event at their newly opened state of the art resort. Everyone involved is dedicated to ensuring that this year’s participants will experience the same caliber of world-class amenities, luxurious accommodations, and adventurous activities. Organized by the experienced teams at Premier Live and Mehow, the yearly event auctions off unique opportunities that have raised over $3 million for the designated beneficiaries. Along with their annual contribution to the National Tennis Foundation, the 2017 event will make a huge impact to support the Virgin Unite BVI Community Support Appeal in the rebuilding of the communities in the British Virgin Islands. Each year, on the final day and night, the Necker Cup and Necker Open end with an exciting line up of activities; watching the Necker Cup Pro-Am finals, an exclusive Exhibition match, followed by the Charity Dinner & Auction and celebrated with the “End of the World” Party. The live auction part of the night features one-of-a-kind luxury experiences, ranging from exotic travel packages to extraordinary tennis opportunities with the majority of all monies raised through the live auction going to the Virgin Unite BVI Community Support Appeal and The National Tennis Foundation. This year’s Pros and Players include Grigor Dimitrov (Current World #9 & Semi-Finalist Australian Open ’17); Tommy Haas (Former World #2 &15 Career Titles); Janko Tipsarevic (Former World #8 & Winning Davis Cup Team ’10); Justine Henin (Former World #1, 7 Grand Slam Titles & Olympic Gold); Brad Gilbert (Former World #4 & 23 Career Titles); David Nalbandian (Former World #3); Greg Norman (Former World#1 Golfer and also joining the tennis Pro-Am as a pro) Mark Knowles (Former World #1 in Doubles & 5 Time Olympian will join in the tennis and golf), Bryson DeChambeau (Low Amateur in ’16 Masters, Won NCAA & US Amateur in ’16, 3 Top PGA Finishes in ’17), Austin Cook (8 Top 10 Finishes on web.com tour in ’17 and new 2018 PGA Tour Card holder), Jake Owen (Country Music Star and Avid Golfer) and of course, Sir Richard Branson. Join the Pros and Players for a fun and invigorating time while supporting a great cause; get involved at www.NeckerCup.com and www.NeckerOpen.com. Join the conversation, become part of our community – tweet the team and they will tweet you back! The Necker Cup, the world’s most exclusive tennis Pro-Am, now in its sixth year, has previously featured the likes of Novak Djokovic, Rafa Nadal, Bjorn Borg, Martina Navratilova, Boris Becker, Stefan Edberg and many other ATP/WTA pros & legends. The world’s most exclusive golf Pro-Am, the Necker Open, now in its third year, has previously featured the likes of Joel Sjoholm, Tommy Fleetwood, Mathias Gronberg and George Bryan. Along with these pros, celebrities and artists ranging from Jimmy Buffett and Aloe Blacc to DJ Irie and Sean Paul have joined the mix. The final night also includes a charity dinner where events combine and an auction enables all to make a difference while enjoying yourself and networking. The majority of auction proceeds will go to Virgin Unite, the National Tennis Foundation, and other leading ATP and WTA player 501(c)(3) charities. 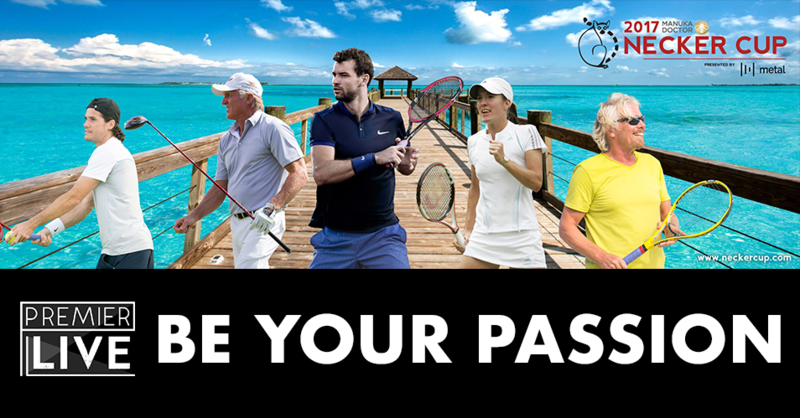 For more information please visit http://www.neckercup.com and http://www.neckeropen.com. CLINICALLY PROVEN + DERMATOLOGICALLY TESTED: Manuka Doctor puts women’s needs and concerns at the core of everything it does, resulting in high- performance skin care regimes that deliver genuine benefits for the ultimate in skin confidence, every day. 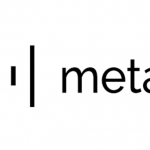 Metal is a payments app that pays you when you use it. Earn up to 5 percent when you spend, send, and receive. Stop paying fees and start getting paid, participate in the future of money: pay with Metal. 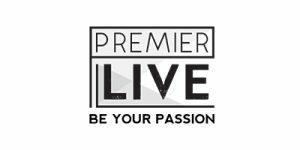 As the holder of rights to produce, market, sell and execute some of the world’s most exclusive Pro-Am events, Premier Live is constantly expanding it’s portfolio of unique experiences. Our knowledge and passion play a crucial role in what we do; be it our own events, enhancing your existing events or building a dream experience. Custom experiential events for you, your clients, attendees or friends; Premier Live builds turnkey solutions to ensure the creation of memories which will last a lifetime. It is through our unique events that we are proud to have raised over $3,000,000 for worthy charities including the National Tennis Foundation, Novak Djokovic Foundation, Rafa Nadal Foundation, Bryan Brothers Foundation, Inspiring Children Foundation, Virgin Unite, and numerous other ATP / WTA / PGA Player Foundations. Baha Mar will be our temporary home for the 2017 Manuka Doctor Necker Cup and Necker Open presented by Metal. A place where unsurpassed luxury meets the Bahamian breeze. Choose from a collection of three celebrated hotels, an 18-hole Jack Nicklaus Signature-designed golf course, the Caribbean’s largest casino, a flagship ESPA spa, a variety of restaurants, lounges and luxury and fashion shopping experiences. In 2004, Richard Branson and the Virgin Group founded the nonprofit foundation Virgin Unite to unite people with entrepreneurial ideas that create opportunities for a better world. The founders cover all the foundation’s overheads so 100 percent of all donations go to initiatives that they create or support. Virgin Unite addresses a wide variety of social and environmental causes, from raising awareness of ocean issues to advocating for drug policy reform. Working with some great partners, they have incubated several collaborations such as The Elders, The B Team, Ocean Unite, Carbon War Room, and The Branson Centre of Entrepreneurship to spur much-needed change in the world. Most recently, in the wake of the devastating hurricanes, Virgin Unite, Unite BVI and Virgin Limited Edition have together launched the ‘BVI Community Support Appeal’ to raise money for the long-term reconstruction of the BVI. For more info please visitwww.virginunite.com. The National Tennis Foundation (NTF) is a nationally recognized 501(c)(3) charitable organization that has become a leading advocate for exceptional student- athletes regardless of race or economic means. The NTF strives to provide scholarships to student- athletes who seek annual, full, or part-time training programs that foster excellence in tennis and academics. For more information, please visit http://www.nationaltennisfoundation.org. Metal Is The Official Presenting Sponsor Of The Necker Cup The Necker Cup has its TV Debut!